Meetings begin at 7:00 pm and are held at South Mountain. Attendance at Board Meetings is open to all LVAAS members. If you have any questions about Board Meetings, please contact the Director of LVAAS as per the Contact Us webpage. 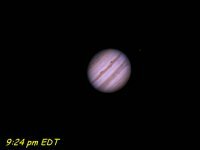 Jupiter Nov 5th 2011, at 9:24pm EDT.